The policies below have been created by the Programs Committee and approved by the MCRRC Board of Directors. Any questions should be addressed to your Program Director. MCRRC training program participants must be at least 18 years old to participate in any training program. Training program fees are set by individual Program Directors and approved by the Programs Committee and/or the Board of Directors. Any fee associated with a training program’s “target” race will be the responsibility of the participant of the program. Program registration will not include race registration. Participants will use an online registration system to register for training programs and will pay the fee for the program along with the applicable the service fee. Program Refunds, Deferrals & Transfers: Refunds for program registrations will be considered, within one month of the start of the program for the following reasons: Military deployment, Multiple (erroneous) registrations (we will refund one; you will keep the other one), Death in the immediate family. Deferrals and Transfers will be considered for illnesses up to and including two weeks after the start of a program. As injuries in running may occur deferrals and transfers in our programs will not be considered after this point. If you are interested in deferring your registration or transferring your registration within this timeframe, please contact your Program Director for further instruction. All participants must be current MCRRC members. Program participants will sign a waiver of liability prior to beginning any training program. MCRRC relies on volunteers to staff club races, coach training programs and administer the business of the club. Training program participants are asked to volunteer at a club-hosted race each year. At the onset of each training program, participants will be requested to join their program’s chosen communication channel(s), which will serve as the primary means of communication with participants. Should participants decline to join these channels they will not receive important announcements from the Program Director. These channels are to be used for matters pertaining to program activities during registration, training, and after key races. 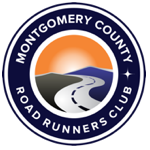 No advertising of non-club running programs or commercial enterprises that benefit individual members of the group or other outside organizations are allowed to be posted. Appeals for fundraising campaigns or charity running slots and other endeavors are likewise not permitted. The communication channel will contain the Training Program Participant Policies and Safety Policy. Participants will be requested to read both prior to the start of the program. Special accommodations not generally provided by group training programs are the responsibility of the participant. Special accommodations include, but are not limited to, guide runners, signers, sag wagons, and dietary needs at program supported aid stations. Participants recognize and agree that volunteer coaches provide coaching for the purpose of the program as a whole, specific coaching needs not covered by the program but desired by a participant are the responsibility of the participant (i.e. private coaching).